I spend many hours watching the home improvement channels as I am sewing away. One of the channels is having an April Tool’s day and it got me to thinking. Has your significant other ever borrowed your gingher scissors? Has your son ever used your rotary cutter to trim wallpaper? Well mine have. 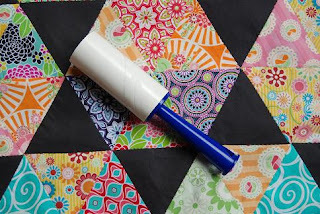 How about an April Tool’s day for sewing and quilting? do without. Lots of good information. tips and products here from bloggers from all over the globe. Machine quilters have shared some of their “must- haves.” Some of the actual inventors of the item have shared their product with us also. How cool is that? So this April Foll’s day, instead of playing a practical joke on your hubby, sit down and enjoy April Tool’s day. Feel free to leave a comment and let us all know what your tool of the trade is. My favorite and most used quilting tool – is an automotive repair tool! I love my automotive telescoping magnet, and they can be found in just about any store that has an automotive section. These little magnets are perfecting for promoting sitting – I never have to get up to pick up drop needles, pins, even my seam ripper. I recently found some for 99¢ at an automotive chain store, and have scattered them through out my house. FUN!!! Geez, decisions, decisions! I am having a hard time narrowing it down but I think my newest favorite is the Ecolux light for my sewing machine. I carry before and after pics on my phone to show other quilters! It has made a huge difference for these old eyes. BUT, I also love the Rowenta travel iron (Which I don’t actually own but borrowed at retreat and was in lust with!) with the bazillion steam holes paired with Mary Ellen’s Best Press for getting my quilt blocks nice and flat. Mine would be instant antique. While I love my rotary cutter and mat, when I’m trying to get the most stubborn seams to match, I love Clover’s super fine patchwork pins. They don’t shift the fabric, as they glide through it, and come out quickly too. They are perfect when needed! oh those youthful memories! And as a side note, small world type of thing, my Mom went to school (grade school through High School) with the man who invented it, Jim Chumbley. Since I do a ton of applique I have two tools I could NOT do without. YLI silk thread in #235. This thread is the best. It is 100wt so it sinks into your fabric making your stitches disappear. The #235 is a dark neutral and it will blend with almost everything. Rarely do I need another color, this one does it all. I also could not do without my Clover bias tape makers. I use these for all my bias stems. They come in all sizes and are the absolute easiest of all bias tape makers to use. My tool has been MADE IN THE USA from at least, 1869, and usually cut from birch trees. Yes, A toothpick is my new best friend in quilting. A quilting pal recently showed me a GREAT trick for getting perfect points in applique using a toothpick. 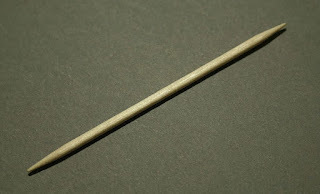 I will never be without a toothpick ever again. My favorite tool is the Desk Needle Threader by Clover.. I have a plain old brown one. I see they now come in fun colors – link below. I would like to own the green one. Why do I like this tool? Because I am blind as a bat and it makes needle threading a snap. I’ll say the Big Board ironing board. I never knew how much I used mine and loved it until I went to a workshop that had regular ironing boards with soft, squishy tops. I use mine for all my pressing, and the added surface area comes in handy laying out piecing. 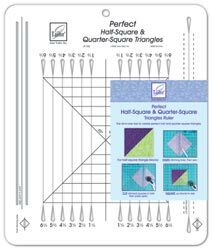 My favorite tool is Easy Scallop (by EZ Quilting) #8823754. It not only allows me to mark scalloped edges on all sizes of quilts from miniatures to queen-size, but I can also mark wavy edges and choose different corner treatments. In addition, I use the Easy Scallop tool to help mark the placement for applique vines, or anytime I need to mark a smooth curve. Even my husband borrows my Easy Scallop tool sometimes for his woodworking projects. It’s easy to use and infinitely variable is size and curve as it opens and closes like a fan– and there are two sizes included in the package with instructions. A pencil with three leds, white, pink and black. I love this smaller one for cutting up the leftover fabric pieces into squares for my current scrap project while I am making other quilts. I now have the other Olfa Frosted ruler sizes but find myself picking this one up the most. It is easy to see thru no matter what colour the fabric is, doesn’t slip and with its small size I just keep it to the side, grab it and quickly cut the smaller pieces or square up as needed. Quick & handy – no fuss, no muss. Love it! and my Fit to be Quarter Ruler by Monique Dillard which is the best ruler I’ve found for trimming hst’s and quarter-square triangles and blocks…and it works for blocks sized 1/2” to 9”! My favorite tool right now is a hemostat. I know, I know, most people don’t even know what those are and if they do, it makes them think of old ER reruns. My favorite is the 10” size since it pretty much grabs and turns anything and everything I need it to. Oh, and it is great in getting stuffing into tight corners too! I have too many favourite rulers and gadgets in my sewing room but one I do love to have next to the sewing machine for curved piecing and foundation piecing (paper piecing ) is the wooden seam roller. It presses the seams perfectly without continuously reaching for the iron. My favorite tool is the Gypsy Gripper. I could not live without it when doing rotary cutting. Here’s a link: They’re about $6 a package. They making binding a breeze. And I’ll never bind quilts without them ever again. My favorite tool is the Precision Trimmer 6 by Feathered Star Productions. Stock number PT6. Why: Everyone has those favorite tool (s) that they could not live without and mine is the Precision Trimmer 6. I like that there are many different angles and lines to use when you are trimming anything. I really think that it’s a multi use tool, that has many different options and things that you can do with it. The 4 1/2″ ruler is fantastic for trimming up half square triangles and flying geese. The humble Korbond lint roller – buy it in your local supermarket, cost only a dollar or two, refills easily available, lost of sticky sheets on each one. I use them to roll threads of a finished block, pull little threads out of an unpicked seam, clean up the quilts when I’m cutting off all those little threads that appear when you’re making a quilt – snip and roll, snip and roll, snip and roll keeps that messy job nice and tidy and finally I run a roller over myself as I leave the sewing room covered in threads! My favorite tools are my square Omnigrid rulers — specifically my most commonly used 2.5″, 3.5″, 4.5″, 6.5″ and 12.5″ ones. I use these all the time for squaring up blocks. It’s always great when sending blocks to others (for things like virtual quilting bees) to be able to trim it exactly to size. Not only does it give you the confidence that your block turned out the way it was supposed to, but it’s such a pleasure for the recipient to receive a block that’s ready to go without having to work further on it to make it usable. Plus, when working on wonky, improvisational, or free-piecing projects, it’s great to be able to work on a large palette, knowing that you’ll be able to use your ruler to cut your block perfectly to size. Clear rulers are also GREAT for fussy cutting! Trying to trim or fussy cut blocks using only the ruler guides on your cutting mat can be really frustrating. I’ve attached a pic and info of my favorite tool. It is the Gingher 4″ embroidery scissor. I like it because I can literally cut through 10 layers of fabric at once. This makes making fabric flowers so much easier! I often take a strip of fabric, fold it over on itself many times and then snip the edges to make fringe, or cut it into a curve revealing a scalloped edge when it’s unfolded. Then I use the cut fabric to make pretty flowers. Check out her site. Can you say Giveaway? Here’s my favorite tool: The Sewline Mechanical Marking Pencil. These are hands down the best fabric marking pencils, ever! I don’t know how I would manage without them. The reason I love them so much is because they are capable of making fine lines and the marks erase easily when you are ready to remove them. I have these pencils in every color and they are always scattered around my studio. If you don’t already have some, go RIGHT NOW and purchase them! The free hand system on my Bernina -commonly known as the “knee lift” – when I first experienced it – it was a watershed moment! and creativity this allows me. by Sharon Hultgren for EZ Quilting; #8823759.
versatility in a quilt’s design. he makes it easy to get back on track. I would say one of my very favorite tools is the Clearly Perfect Angles tool. Everything I sew with it is just a little tidier. I like it for making “no-waste” half-square triangles, but I love it, too, when I’m just sewing long seams because it helps me line up my fabrics for a quarter-inch seam long before the short little guidelines on my throatplate. We hate to un thread our sewing machines to thread bobbins in the middle of a project. Why? I teach Perfect Placement Applique, an easy and extremely efficient prep method for needleturn appliqué. This three-in-one tool has everything I need to prep and mark my appliqué for stitching. The smooth gliding Tracing Roller rolling ball point marks the appliqué pattern onto my background fabric. The black or white Marking Leads mark my appliqué fabric with a fine guideline for stitching. The two leads cover light and dark fabrics, making this the perfect traveling tool for on-the-go stitching. And my equally favorite tool is the Sewline Needle Threader. My eyes are still pretty good to be able to see and thread the eye of a needle. But I must admit, come evening this Needle Threader is a constant companion. Finally, a needle thread that threads very fine needles! I use a #11 Betweens quilting needle to appliqué and #100 silk thread. This needle threader threads both so quickly and efficiently. No more wasting time threading a needle while I could be stitching! A great Youtube video available to see how this nifty tool works. they’re easy to find at a glance. blade to make all the cutting job just a piece of cake? Each time when I’m done with one project it’s kind of celebration to get a new blade into my rotary cutter. And since it is often that I finish something, I decided instead of buying a new blade each time I’d rather recycle my used ones and sharpen them. It’s so easy and takes me just two minutes to give me the pleasure of working with a sharp functional tool. I keep the EZ Jelly Roll Ruler right next to my sewing machine (with a small cutting mat and rotary cutter) to make fast cuts and trim units. Since I have been working with precuts almost exclusively lately, I also keep one at my cutting station to use for quick and accurate cutting of all those frequently cut units when working with Jelly Rolls and Layer Cakes. The bright mint green markings on the ruler make it so easy to see the sizes – even the 45 degree line for cutting diamonds! and have another in a sewing organizer. Love it! I love this little iron because it’s small but irons like a full size. I take it to classes and retreat, knowing that I can iron like I do at home with my large Rowenta. I like to keep it next to my sewing machine for small quick pressing and it is the best iron to use when I want to press the inside of a bag. (Large irons don’t fit!) But the small travel size does and pushes steam out like crazy. I love steam! This little iron is a must! been in my sewing room from the beginning of time, fills in quite nicely. When drafting patterns, or calculating backing or binding, etc, etc. would be lost if someone was to swipe this tool off my cutting table. Best Press, because nothing works better at getting creases out, especially FQs and F8s. It also gives fabric a slight bit more of stability, but not too hard like starch. Also I love the light scent. I also love a sharp seam ripper! Clover’s ergonomic seam ripper is great, goes through seams easily and has a big enough handle I don’t end up with cramped fingers when I’ve had to unsew an entire border! My favorite tool is Havel’s thread snips. I have several pair and in fact need to order more. It’s hard to imagine that quilters still might not know about them but I find ladies don’t, even after this length of time! They’re the very thing for fast pedal-to-the-metal sewing. Just squeeze to cut thread- great when piecing for separating the block parts from the leaders & enders. They’re SUPER for cutting threads on the quilt while machine quilting. And because they’re slightly curved on the ends, they can’t be beat for snipping off those little fibers that sneak through the seams from the wrong of the quilt top. My favorite quilting tool is of course the Perfect Piecing Seam Guide (PDG301). It helps me get that perfect scant 1/4″ seam allowance every time. And my blocks are the right size when I’m finished piecing them. I love that! I have many tools in my sewing room that I love to use, but the small tool I love the most is the Clover Desk Needle threader #4057. This needle threader makes threading those small needles so easy and fast – it’s just the perfect tool. Couldn’t live without it! I love scissors. 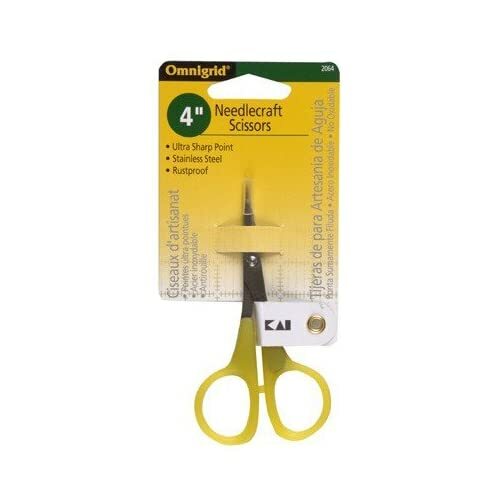 The ones I find myself reaching for are my Omnigrid 4″ Needlecraft Scissors. Sharp, right to the tip. Cute. Easy color to find! 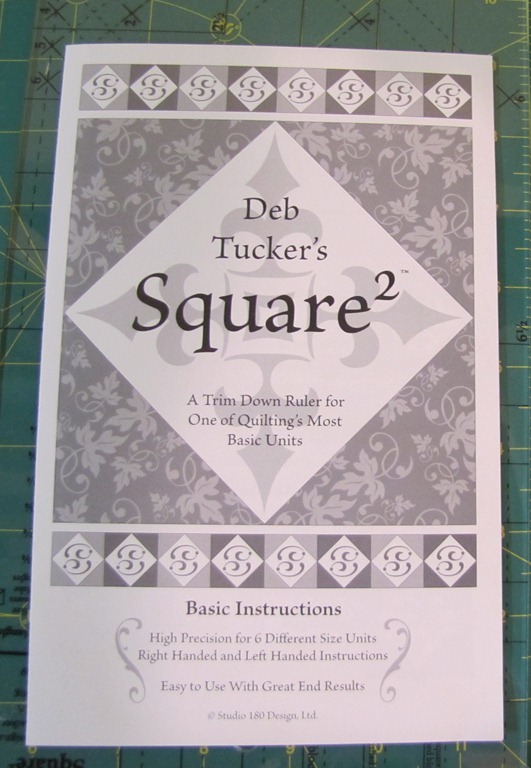 and Deb Tucker’s Square2 ruler. I love that both have the measurements and fabric requirements for multiple size blocks printed right on the ruler. No more doing math or hunting for where I’ve written that information down somewhere else. We happen to love all types of Pellon Fusible Interfacing. It’s been great for machine applique projects and it adds a nice level of structure to the bag patterns we’ve been experimenting with. I’ve just begun to quilt, but oh-so-quickly I’ve realized my least favorite part is binding. Since we are cable-less for TV, as I painstakingly bound my quilt, I watched infomercials (ugh), only to finish with an “ehhh, it’s alright” binding. I would show you a picture, but it’s a little embarrassing. Which is why I’m learning to use the Binding Tool so I end up with perfect binding. The Binding Tool helps you finish your binding with a consistent, invisible seam, no guessing involved. If I have to watch endless, boring TV to bind my quilt, it might as well look as good as Alyssa Milano’s hair in those Wen hair care infomercials! I have so many “favorite” notions it is tough to pick just one. Hmmmm…I really like the Quick Points Rulers by Janet Platt. really works well for me. That’s why it’s my favorite! 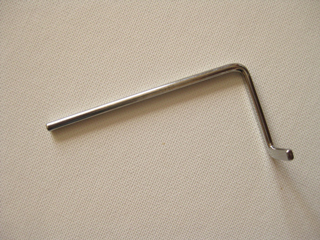 The Quilters Newsletter team recommends the Clover Desk Needle Threader. like straw needles for hand applique. My favorite tool for applique is a Sandpaper Board, stock #C3183. I really can’t applique without one. The sandpaper holds the fabric firmly in place so you can draw around your freezer paper pattern without the fabric stretching. It’s also great for writing on labels. I have two favorite tools which I use together – Clover Tailors Awl Stiletto 485W and Roxanne’s Glue Baste-It RXGL20 which I use to turn and secure the edges of my applique pieces. why – I designed all the grid work on the Sullivan’s Cutting Edge Rulers. Besides the awesome right edge that sharpens your blade with every cut, I love the grid work I designed for the squares. Three colors, large numbers, and a ‘tuck in line’ for squaring up blocks! I have some videos on the rulers at youtube.. you can see them at my youtube channel! Last but not least, the following person sent in so much info that it was a shame not to pass it along. These pins are the BEST for pinning intersecting seams. You place one leg over each side of the seam, about 1/4″ down from the the raw edge. It holds the seam in place but also keeps the seam edge next to the throat plate from flipping up. This is a newer product but I like it because it is so lightweight and doesn’t make my appliques stiff. I used it with batik fabric recently and the appliques remained soft. It’s easy to stitch through, both by hand and machine. It stays attached to the background fabric without coming up at the edges when I’m stitching. Occasionally I’ll use it on the back of looser woven wool to help the appliques keep their shape and not fray as I’m cutting them. These pins are perfect for working with wool applique. They are small and sink into the wool so that my thread doesn’t catch as I’m stitching. I like the white finish on the heads as it makes them easy to pull out … and to see! Who doesn’t love a pen that lets you iron it out after you’ve completed your project! I use them all the time for tracing my embroidery designs. The black and the red are my favorite colors. These have been my favorite rulers for years! The frosted side on the back keeps the ruler from slipping around. I love the black markings because I can see them on all colors of fabric … even the dark ones. There are diagonal degree markings on the ends of each ruler … I don’t have to keep flipping the ruler around to get the line I need. The best part is that the markings don’t rub off … they are imbedded between the front and back layer of acrylic and are protected from everyday wear. I have been using this basting glue on my wool applique projects for so long that I don’t know what I would do without it! It’s water soluble so that if I get some in the wrong place, I can just wipe it off with a cloth. It holds my wool appliques to my project perfectly but if I need to reposition them, I can easily pull them off. I use the smallest .5 oz bottles, and keep them stashed in all of my sewing supplies so that I’m never hunting for it! It makes cutting bias binding a snap! I’m not afraid of it anymore and am using lots of stripes for that pretty barber pole edge on my quilts. I hate trying to keep my binding even when I’m pressing my fabric strip. The Binding Express has slots at one end to match up with the common widths of binding cuts. You fold your binding in half and thread it through a slot, then it slides over a small pressing surface. There are guidelines on the pressing surface that helps you keep the binding straight as you press … but passing it through those slots first is the trick. I used to do this on my ironing board with a pin holding the binding in place but this is so much easier! 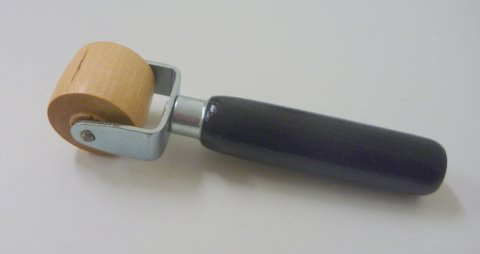 I love making Dresden blocks with this tool! They always looked so hard to me until I joined a block swap and learned how to use it. The tool lets you cut any size you need from about one inch to eight inches. You can get two smaller ones from a charm square. The method is simple to understand but there are some tricks on their web site to help make it easier. With Dresden’s so trendy right now, everyone needs one of these! 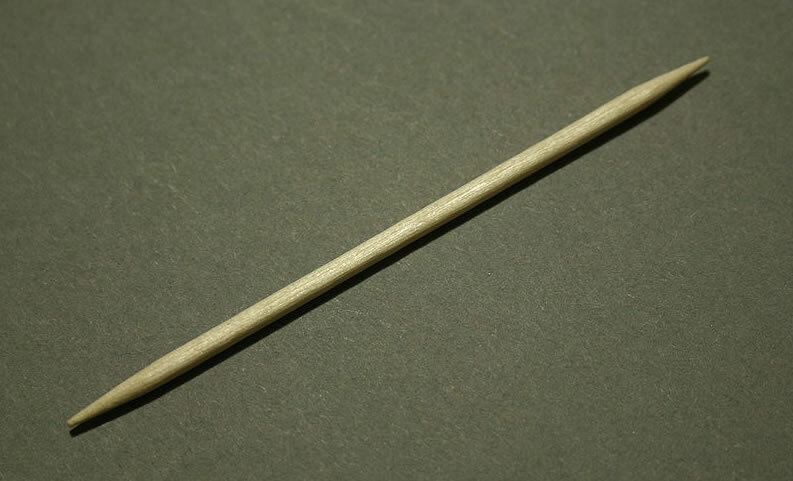 I hope you have enjoyed this post. The above post was created to inspire and share. If you find something you want to buy from any of the links or from your local vendors, that is super. If not I hope you learned about some tools. I know I am buying some of those clover fork pins before everyone sells out. Shear Genius! There are so many talented creative people in our very small world of quilting that I also call friends. Not be be sappy, but that would be something I could not live without. I am honored and humbled to be in this industry full of talent. Thanks. I have some of these, and may check out some others, too. This was a great way to spend my time today. I love hearing about tools and how they work before I invest my money. WOW ! thanks for all this info !! it will be most helpful ! my favorite gadget right now is my 1/4 " foot for my machine ! best $8 ever spent ! My favorite tool. I would have to say the Cocobolo Seam Ripper my Dad made just for me. So smooth, just the right size, my favorite wood. He used Clover (my fav notion company) seam ripper tips and it's easily changed out. What a great list – I think I need them all!!!!! Goodness – did you start writing that post a month ago?? Thank you Lissa for putting all of that great information together! I own a lot of the measuring tools people mentioned, and now I remember why I bought them! My can't live without tool is the Seam Ripper from Fons and Porter – the one with the red handle. Did you know that the opposite end acts as an 'eraser' and those pesky threads just whisk away? Thanks for very valuable info. I'm fairly new at quilting, and I'm gradually adding to my tools. Knowing what works for others is great! Wow-weee! lots of things here to explore. Some of these are on my favorites list too… but others are new to me! Thanks for sharing all of these tools! Also, loved your Schnibbles T quilt on the parade! If you are nothing, you are thorough! There are some gadgets I've never heard about and I've been sewing since before the Invention of the Wheel (rotary cutter). I have to say my favorite are Omnigrid Rulers. I worship those suckers! I am loving my clover applique pins right now! I am working on a new applique pattern for Spring Market! Those little pins are great! It is fun reading your blog! Thanks for sharing.. Geoff's Mom Pattern Co. I loved this post…I have a little shopping list on a post-it note now…hope I can find those Clover fork pins first! Thanks so much Lissa, this was fun. Leave it to Roseanne to outdo us all! Gotta love that girl!